Unnata Yoga. Because you seek more from your practice. 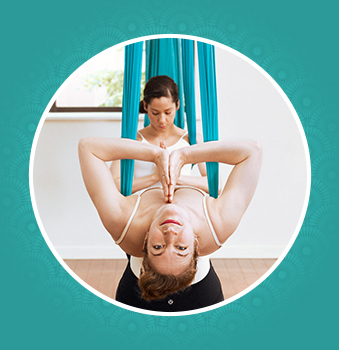 Discover the original Aerial Yoga method created by a Yogi, for Yogis. In 2005 we birthed a movement of Yoga’s expansion into the air, and we continue to evolve the Unnata technique after 13+ years. Our body of wisdom has been built from the roots of Yogic tradition, and the shoots of aerial exploration. The Unnata method is now a highly evolved aerial-inspired practice of Yoga, and like you, we’re still growing. Practitioners who value self-study over selfies choose Unnata Yoga because it’s not just asana in air – it’s a multidimensional education for your own evolution. If you’re looking for a teacher who can guide you deeply into true practice, not just poses – a teacher with an authentic Yogic education, not just an aerial certification – come to an Unnata class. You’ll find Unnata trained teachers on 6 continents, from 54 countries and 40 US states, each teacher a dedicated Yogi with a passion to support personal growth. Lean into the legacy of the Yoga tradition, and evolve your practice in the air. I enjoyed how interactive this practice could be as well as the opportunity to find my center in a whole new way – not just physically but mentally and spiritually as well. What better way to learn about yogic surrender and balance! on her experience in an Unnata Yoga class. Yoga isn’t about being competitive or the bendy-est or the most graceful or the strongest. [Unnata] Aerial Yoga strips away what “gets in the way” in many yoga classes because it is just you, the apparatus and gravity. I truly loved every minute of the practice and the ending savasane within the cocoon was pure and absolute bliss!! When my foot hit the sidewalk out side your studio I felt taller and every step was effortless. My upper body was so light and lifted that my step felt so easy I almost bounced with each step! !